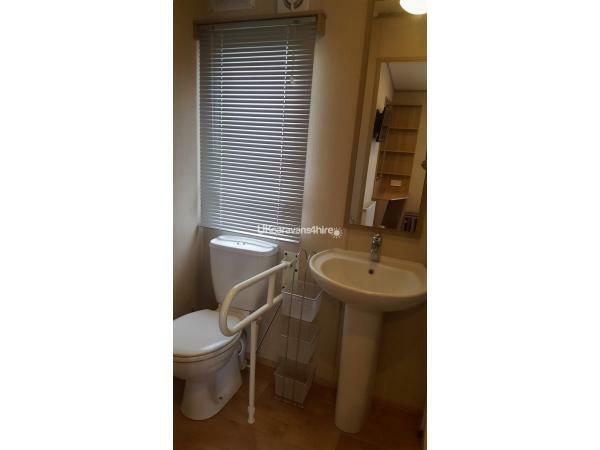 Additional Info: Disabled access ramp, shower seat and hand rail in the ensuite. £100 holding deposit is required to book the holiday with the remaining amount due to be paid within 8 weeks of the holiday start date. 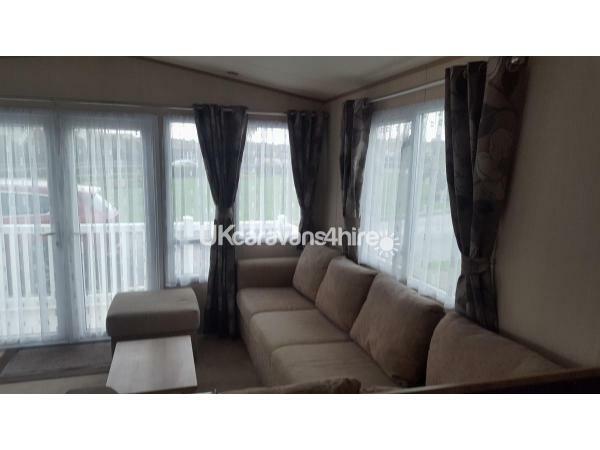 We also require at the final payment a £100 damage bond which is fully refundable upon inspection at the caravan after the holiday as long as there is no damage or loss and the caravan is left in a clean state and doesn’t smell of smoke. 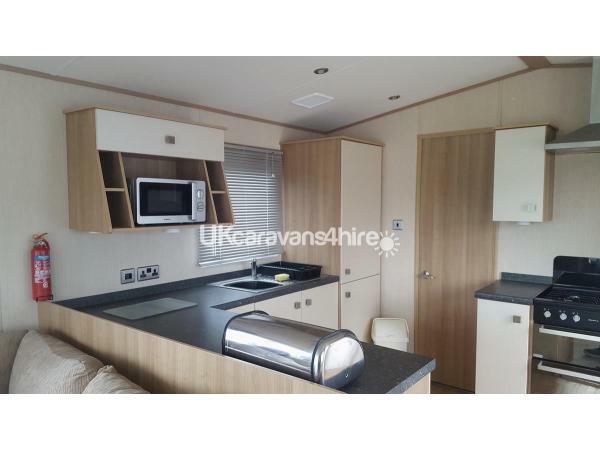 Luxury 2 bedroom high spec caravan is available for hire on Littlesea in Weymouth. Sleeps up to 6 guests. 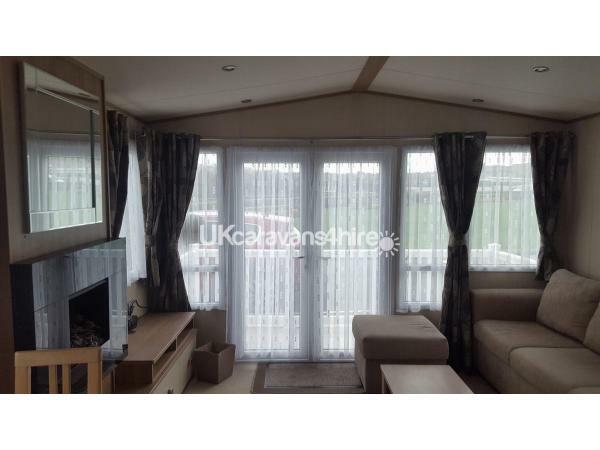 This beautiful caravan has front opening doors from the lounge onto a veranda to enjoy the outside space too. There is also disabled ramp access to the side door. 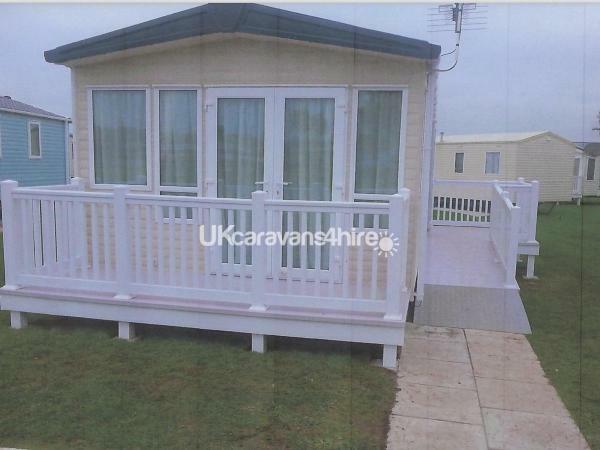 Please be aware that the caravan is not suitable inside for wheel chair or walking frame use. 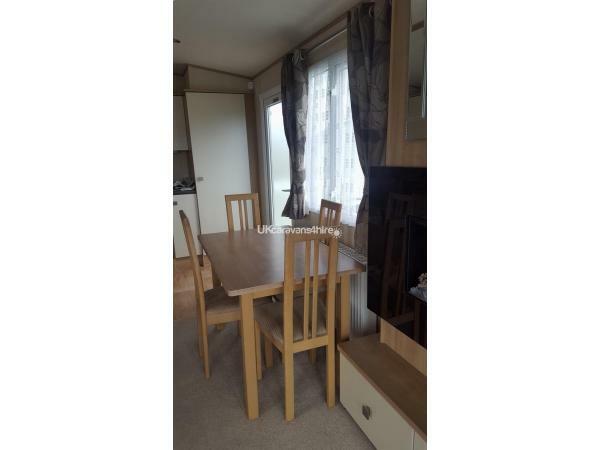 Full gas central heating and double glazing throughout. 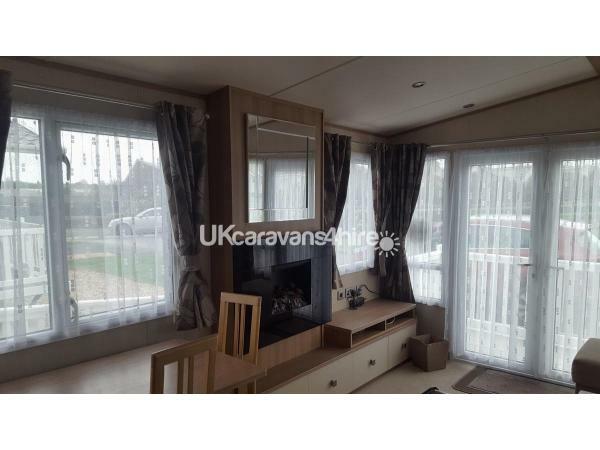 Well cared for caravan and much loved by its owners. 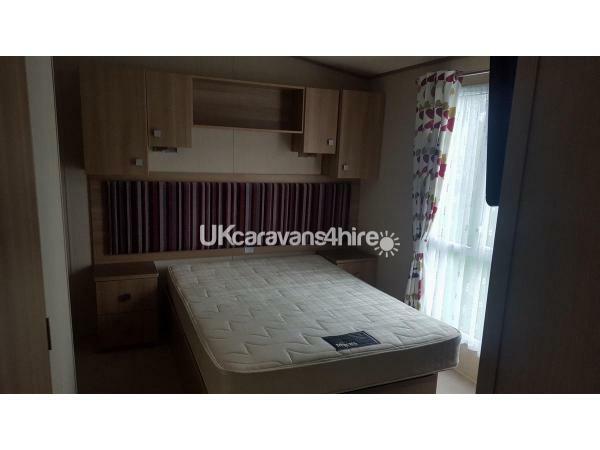 Kitchen - Furnished to a high standard with fridge freezer, microwave, 4 ring hob, cooker and extractor fan. All utensils are provided along with pots and pans. Lounge - Ample seating on the ‘L’ shaped sofa with a pull out sofa bed. Large wall unit incorporating an electric fire and storage cupboard and TV. 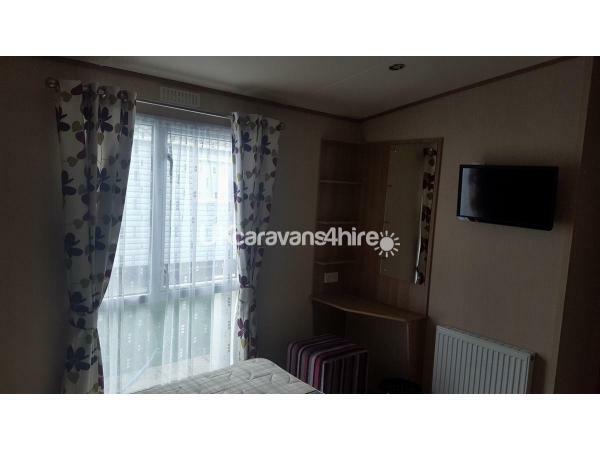 Bedrooms - The main double bedroom spans the full width of the caravan. 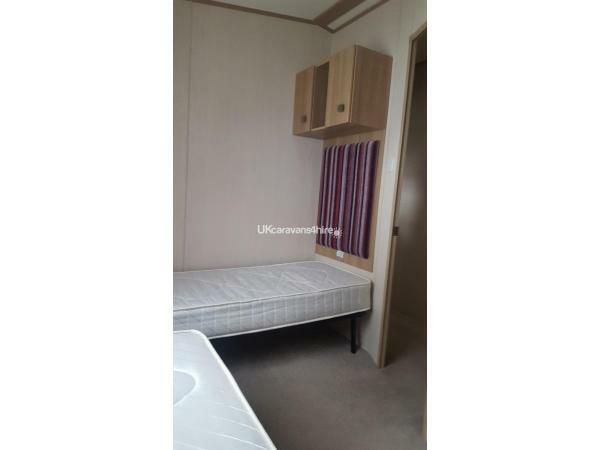 There are bedside cabinets and wall cupboards overhead. 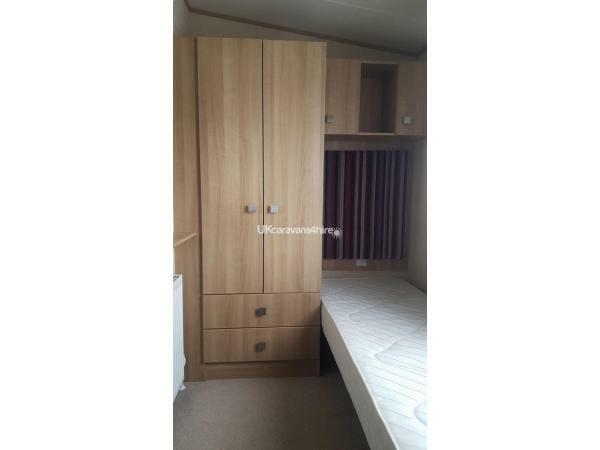 Small dressing table and wardrobe. 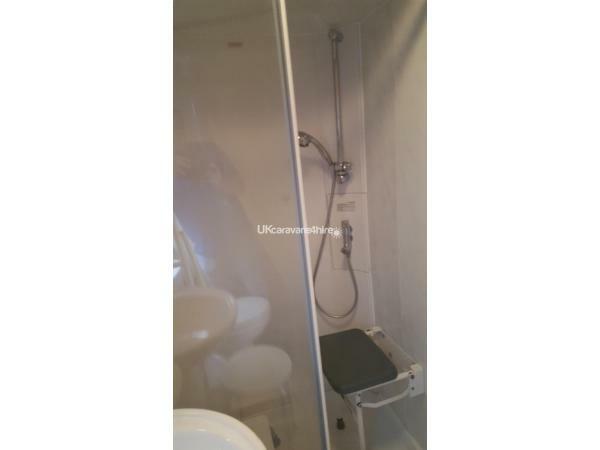 There is also an ensuite shower wi5 disabled seat, wc with raisable hand rail and basin. The twin room have beds at 90 degrees to eachother maximising the space and having a double wardrobe in the room. Bathroom- Good size bathroom with shower, wc and basin. Sorry no pets allowed in the caravan.